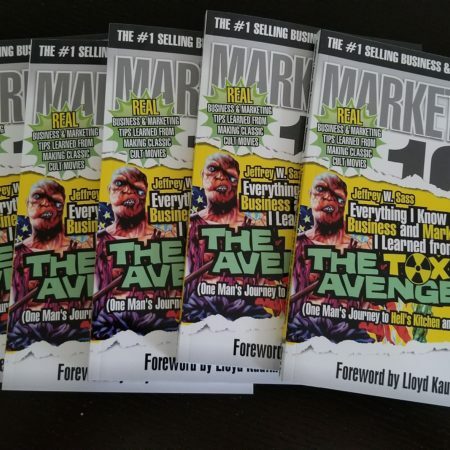 Back in my formative years, I spent seven and a half of them in hell– more specifically, Hell’s Kitchen, on the West Side of New York City, working for the legendary independent film studio, Troma. For those of you who have never been indoctrinated, Troma was (and is) best known for low-brow, low-budget, action/horror/comedy films, often referred to as “schlock cinema,” “B-movies,” and many other less friendly aspersions. 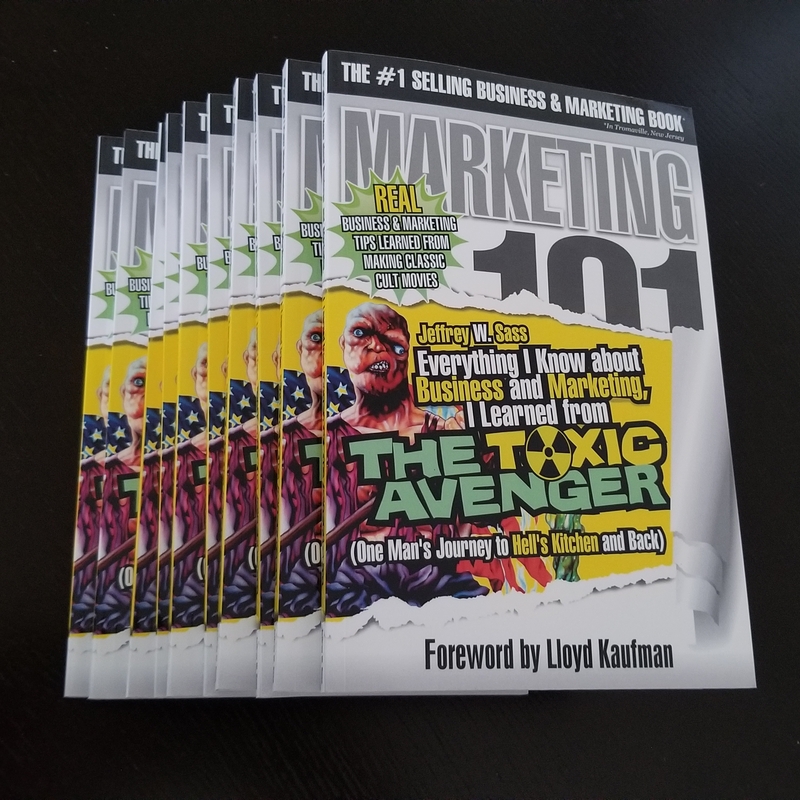 And I learned a great deal making silly, sophomoric movies– lessons that I have been able to apply to my career ever since, in a variety of industries, from video and computer games to mobile commerce and content, to domain names. 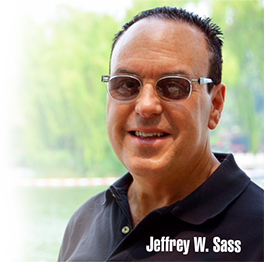 In one’s career, having a mentor is a valuable asset. My mentor was a monster– a hideously deformed creature of superhuman size and strength. His name was Toxie (a/k/a The Toxic Avenger). 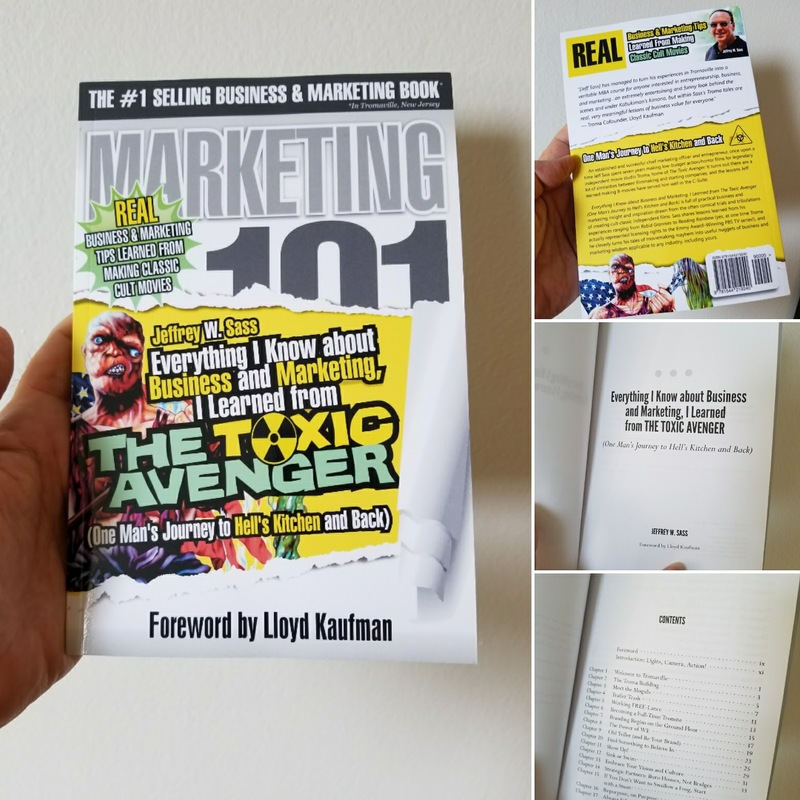 In this book I share some of the stories of my days in Tromaville and the real lessons of value I took from Toxie, that can (and have been) applied successfully to a wide range of businesses throughout my career in the twenty plus years since I emigrated from Tromaville. I hope you will buy the book, but even if you are too cheap to do so, I hope you will continue to visit this website, as here I will, over the course of time, publish it for free in installments, chapter by chapter. In addition to the printed words, I plan to offer, for free, audio and video readings of my words of wacky (and hopefully worthwhile) wisdom. 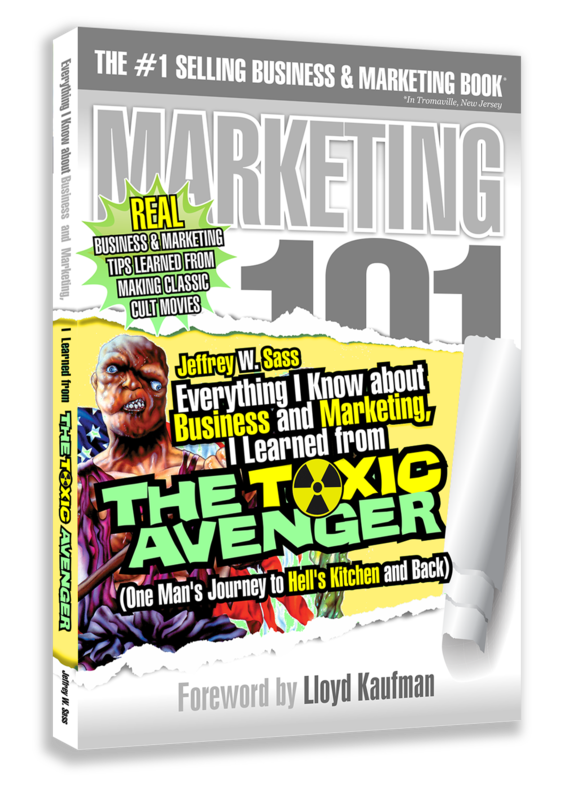 If you find value in Everything I Know about Business and Marketing, I Learned from The Toxic Avenger I hope you will share it, and if you read the book and are so inclined, please leave a review on Amazon. I thank you, and Toxie thanks you.